Neat idea! I’ll do one, though because I don’t like to give out my address to the whole world, I’ll just do it from some other part of the city. 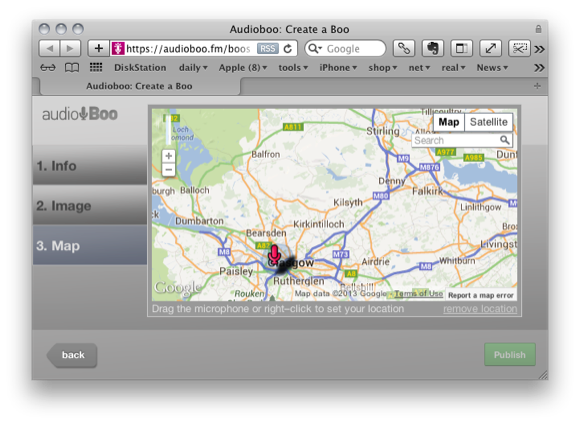 There’ll be one from Vancouver, BC as soon as I figure out how to use the audioboo app I downloaded awhile back!